The Norvins have now some dates for early 2008. 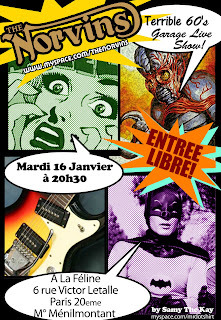 They will start at La Féline Bar (Paris). You will discover their new set list and line-up since new drummer has joined the band: Gerry Monroe !